Steven (Chicagoland, United States) on 6 June 2012 in Plant & Nature and Portfolio. 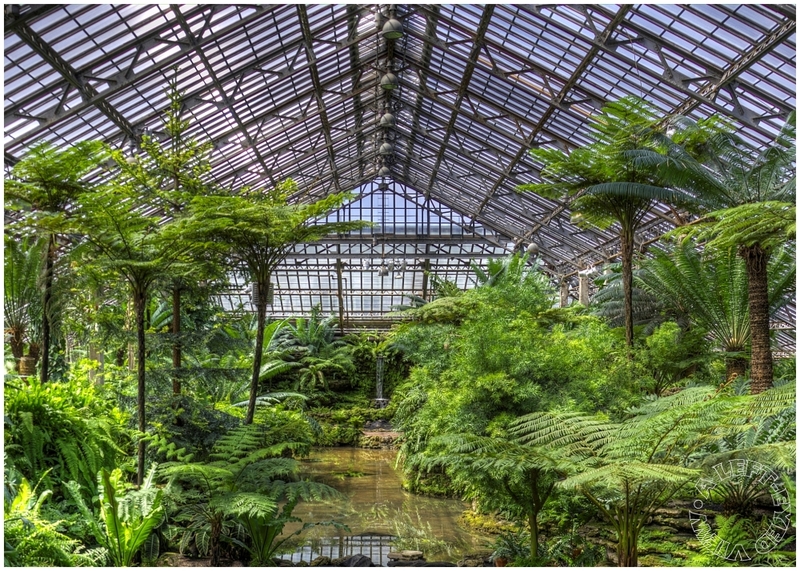 View from the main entrance to the Fern Room at the Garfield Park Conservatory in Chicago, Illinois. Jens Jensen, who designed the Conservatory in 1906, wanted to give visitors a glimpse of what Illinois might have looked like millions of years ago. Lush ferns, rocky outcroppings and an indoor lagoon evoke the swampy landscape of prehistoric Chicago. The Fern Room is home to the palm-like cycad; one of the oldest species of plants on earth. The scene reminds me of a reconstruction of ancient flora on Earth. Wonderful image. The composition and color are fantastic. That's incredble what's been done here in the conservatory. If I'm ever in Chicago, I'm defeinitely going to be visiting this place. Great shot, Steven! What a wonderful, warm, moist environment for this collection of ferns! A lovely 'lost world' feel - excellent image! What an amazing site to see ~ beautiful and lush ~ fantastic photo! A beautiful collection of ferns. Some are huge! Lush indoors and beautifully photographed and processed. Wow! So many different types of fern! Beautiful image! So beautiful tones and atmosphere ! Very nice HDR. You've got symmetry here with my eyes resting on the waterfall in the distance. a very appealing combination of nature and technology in this green ambience ! !